a) The word “whistle” means any sound signalling appliance capable of producing the prescribed blasts and which complies with the specifications in Annex III to these Regulations. b) The term “short blast” means a blast of about one second’s duration. c) The term “prolonged blast” means a blast from four to six seconds’ duration. 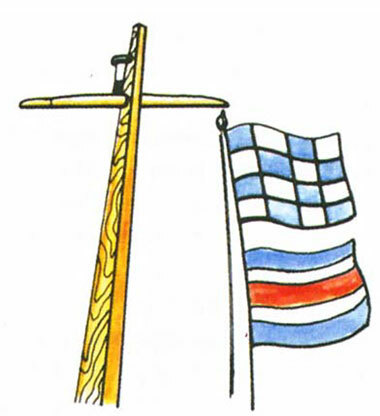 a) A vessel of 12 metres or more in length shall be provided with a whistle, a vessel of 20 meters or more in length shall be provided with bell in addition to a whistle, and a vessel of 100 metres or more in length shall, in addition, be provided with a gong, the tone and sound of which cannot be confused with that of the bell. The whistle, bell and gong shall comply with the specifications in Annex III to these Regulations. The bell or gong or both may be replaced by other equipment having the same respective sound characteristics, provided that manual sounding of the prescribed signals shall always be possible. b) A vessel of less than 12 metres in length shall not be obliged to carry the sound signalling appliances prescribed in paragraph (a) of this Rule but if she does not, she shall be provided with some other means of making an efficient sound signal. - three short blasts to mean “I am operating astern propulsion”. (iii) the light used for this signal shall, if fitted, be an all-round white light, visible at a minimum range of 5 miles, and shall comply with the provisions of Annex I to these Regulations. - one prolonged, one short, one prolonged and one short blast, in that order. 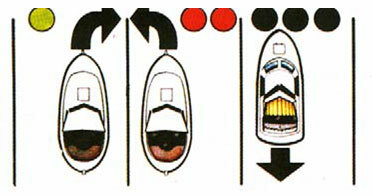 d) When vessels in sight of one another are approaching each other and from any cause either vessel fails to understand the intentions or actions of the other, or is in doubt whether sufficient action is being taken by the other to avoid collision, the vessel in doubt shall immediately indicate such doubt by giving at least five short and rapid blasts on the whistle. Such signal may be supplemented by a light signal of at least five short and rapid flashes. e) A vessel nearing a bend or an area of a channel or fairway where other vessels may be obscured by an intervening obstruction shall sound one prolonged blast. Such signal shall be answered with a prolonged blast by any approaching vessel that may be within hearing around the bend or behind the intervening obstruction. f) If whistles are fitted on a vessel at a distance apart of more than 100 metres, one whistle only shall be used for giving manoeuvring and warning signals. a) A power-driven vessel making way through the water shall sound at intervals of not more than 2 minutes one prolonged blast. b) A power-driven vessel underway but stopped and making no way through the water shall sound at intervals of not more than 2 minutes two prolonged blasts in succession with an interval of about 2 seconds between them. c) A vessel not under command, a vessel restricted in her ability to manoeuvre, a vessel constrained by her draught, a sailing vessel, a vessel engaged in fishing and a vessel engaged in towing or pushing another vessel shall, instead of the signals prescribed in paragraphs (a) or (b) of this Rule, sound at intervals of not more than 2 minutes three blasts in succession, namely one prolonged followed by two short blasts. d) A vessel engaged in fishing, when at anchor, and a vessel restricted in her ability to manoeuvre when carrying out her work at anchor, shall instead of the signals prescribed in paragraph (g) of this Rule sound the signal prescribed in paragraph (c) of this Rule. e) A vessel towed or if more than one vessel is towed the last vessel of the tow, if manned, shall at intervals of not more than 2 minutes sound four blasts in succession, namely one prolonged followed by three short blasts. 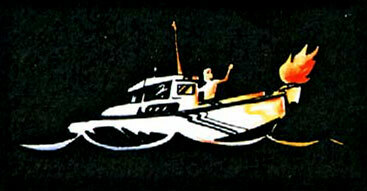 When practicable, this signal shall be made immediately after the signal made by the towing vessel. f) When a pushing vessel and a vessel being pushed ahead are rigidly connected in a composite unit they shall be regarded as a power-driven vessel and shall give the signals prescribed in paragraphs (a) or (b) of this Rule. g) A vessel at anchor shall at intervals of not more than one minute ring the bell rapidly for about 5 seconds. In a vessel of 100 metres or more in length the bell shall be sounded in the forepart of the vessel and immediately after the ringing of the bell the gong shall be sounded rapidly for about 5 seconds in the after part of the vessel. A vessel at anchor may in addition sound three blasts in succession, namely one short, one prolonged and one short blast, to give warning of her position and of the possibility of collision to an approaching vessel. h) A vessel aground shall give the bell signal and if required the gong signal prescribed in paragraph (g) of this Rule and shall, in addition, give three separate and distinct strokes on the bell immediately before and after the rapid ringing of the bell. A vessel aground may in addition sound an appropriate whistle signal. i) A vessel of 12 metres or more but less than 20 metres in length shall not be obliged to give the bell signals prescribed in paragraphs (g) and (h) of this Rule. However, if she does not, she shall make some other efficient sound signal at intervals of not more than 2 minutes. j) A vessel of less than 12 metres in length shall not be obliged to give the above-mentioned signals but, if she does not, shall make some other efficient sound signal at intervals of not more than 2 minutes. k) A pilot vessel when engaged on pilotage duty may in addition to the signals prescribed in paragraphs (a), (b) or (g) of this Rule sound an identity signal consisting of four short blasts. Sound signals are given with a whistle, a bell or a gong (you can also give sound signals with a light). - a blast from about one second’s duration. - a blast from four to six seconds’ duration. 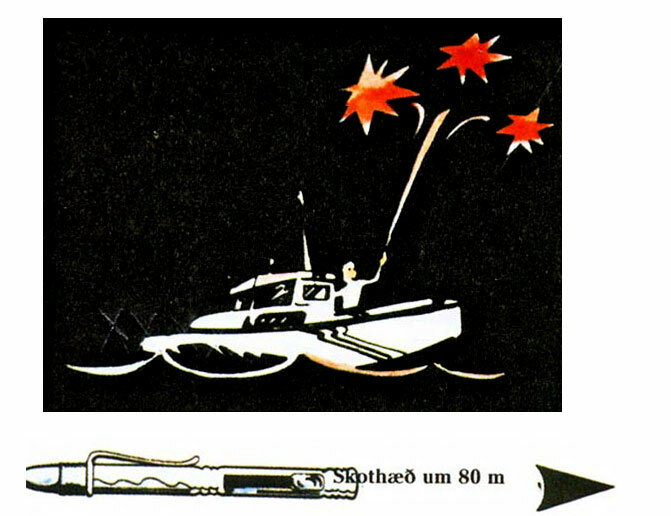 If necessary to attract the attention of another vessel any vessel may make light or sound signals that cannot be mistaken for any signal authorized elsewhere in these Rules, or may direct the beam of her searchlight in the direction of the danger, in such a way as not to embarrass any vessel. Any light to attract the attention of another vessel shall be such that it cannot be mistaken for any aid to navigation. For the purpose of this Rule the use of high intensity intermittent or revolving lights, such as strobe lights, shall be avoided. Signals to attract attention cannot abuse. When the light signals, which the Rules authorize, are used, a good care should be taken so that the light beam is not directed at the wheelhouse of the other vessel, especially on narrow channels. When a vessel is in distress and requires assistance she shall use or exhibit the signals described in Annex IV to these Regulations. In this part some of the distress signals will be mentioned, which are enumerated in the annex, and are convenient to use on board smaller vessels. 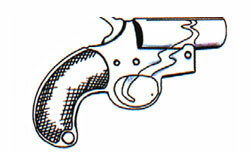 To indicate these signals, we can use an ordinary signal pistol or signal tube. The latter is a tube to fire light-, smoke- and explosive signals. 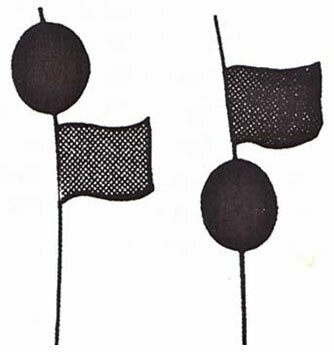 The Morse code can be given with flags, lights or sounds. This signal can be given with light and sound, for example with a flashlight or a whistle. Hang a burning barrel or a container on the outside of the handrail if possible. 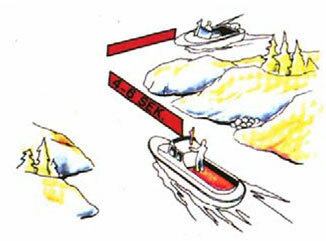 Show regard for the wind direction so that the flames do not go over the vessel. 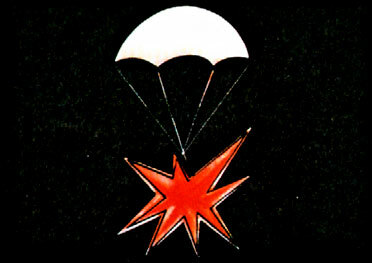 The rocket parachute flare goes about 350 meters up in the air. It gives out red light for 30-40 seconds and in normal circumstances it can be seen from 25 nautical miles distance. The hand flare illuminates bright, red light for about one minute. Remember to hold it over the gunwale on the leeward side to avoid flying sparks. Rockets and hand flares should be of standard type. If the date shows that the rockets and flares have expired, it is no longer possible to count on them, and therefore they should always be renewed before that time. They should be stored in a safe place so no one irrelevant can access them. This signal burns for about 2–4 minutes. The capsule is thrown overboard on the leeward side. The date, which is marked on the smoke- and sound signals, is the date of manufacture. The signals’ service life is three years. o) approved signals transmitted by radiocommunication systems, including survival craft radar transponders. 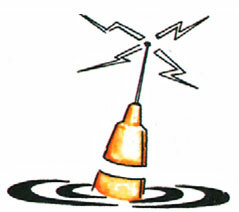 Emergency buoy is a small beacon which sends out distress signals on aeroplane frequency 121,5 MHZ and 243 MHZ. 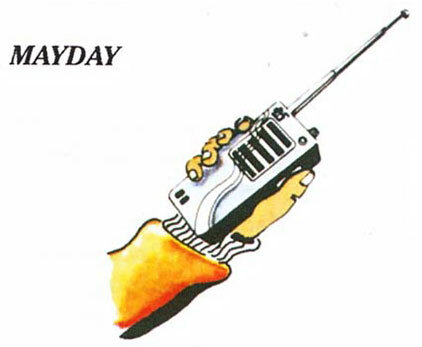 The transmitter is activated when it enters water, but it is also possible to activate it manually.